Please don’t think that I’m trying to minimize the religious significance of this holiday. I know that Holi carries very great religious importance, but I’m honestly not very educated on its history, so I can’t add much value there. But if you’re interested in learning more about this celebration, please check out Wikipedia (I read through the page, and it’s very well written and easy to understand). I felt kind of weird taking pictures at the temple, especially since I didn’t see anyone else doing it. But I found these pictures on the web and thought I would share. I know my descriptions of Holi probably didn’t paint the most vivid picture, but these should help! Enjoy! 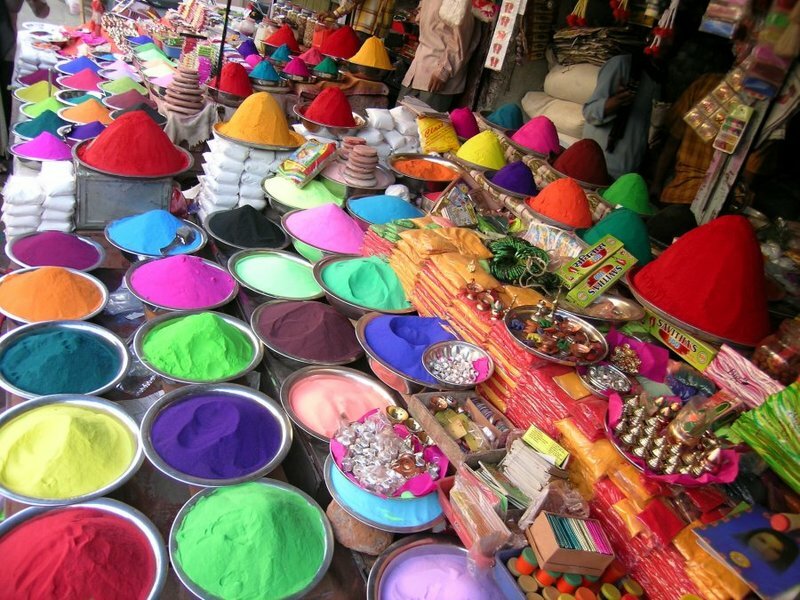 All the colors of Holi! So as us Indians say, “HOLI HAI!! !” (This means “It’s Holi!!!”). I hope y’all enjoy the rest of your Sunday! HI Parita! I love reading your blog!! I too am Indian. Happy Holi to you. I live in the Boston area also 🙂 Did you go to the Sri Lakshmi Temple in Ashland? I live pretty close to that one. Wow! What an awesome way to celebrate the most gorgeous season! I love the colorful pictures! It’s really something! Funny how I was dreaming of spring yesterday and saw a glimmer of hope, and today it snowed…BOO! I’ve always wondered about Holi and the significance behind it – I totally checked out wikipedia and wish that I’d read the post yesterday. We have a temple close to my parent’s house and I would have to loved to visit yesterday! It looks beautiful! You should still go visit on a non-holiday. The temples are so beautiful on both the outside and inside! It’s worth the visit! Great to see a fellow Indian blogger! I’m actually living in Mumbai so was able to witness the Holi festivities first-hand! They reallly go all out, and if you’re not careful, random people on the streets will throw color at you! Fortunately I was spared :)!